Grammy nominated singer/songwriter, Judy Pancoast, will be performing at Christmas Expo in Daytona Beach. 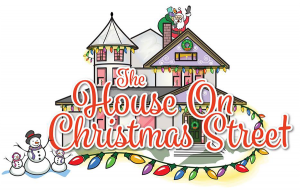 Judy is known for her infectious Christmas hit, “The House on Christmas Street” which can be heard each Christmas season on radio stations across the country. In addition, houses all over the world feature the song in their animated lighting shows. Judy will be debuting a brand new Christmas song at the Expo. 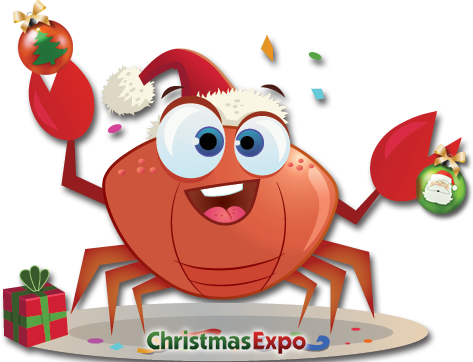 Christmas Expo is July 18-20, 2019 in Daytona Beach, FL. We couldn’t be more excited! We’ve reserved the entire top deck at the flagship Joe’s Crab Shack restaurant on the Daytona Beach pier for a fun Christmas Expo event. 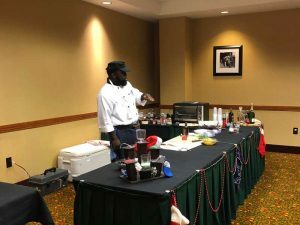 You’ll enjoy a buffet-style dinner* and dessert, music, a cash bar and an opportunity to relax, network and get your Ho-Ho-Ho on! And it’s all included in your Conference Pass registration. Huge thanks to our Daytona Beach partners for joining with us to bring this merry and bright evening to you. Tickets will be available for spouses/partners of pass holders. Pricing information will be posted when available. 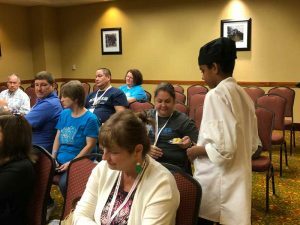 Christmas Expo is July 18-20, 2019 with Pre-Show Workshops July 15-17, 2019 at The Plaza Resort & Spa on the beach in Daytona Beach, FL. *Joe’s is a seafood restaurant. We regret that menu/restaurant substitutions or special requests will not be available. 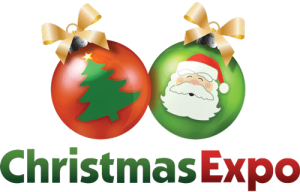 Christmas Expo is the original international conference dedicated to do-it-yourself home decorators, lighting installers and commercial businesses. We know Christmas! 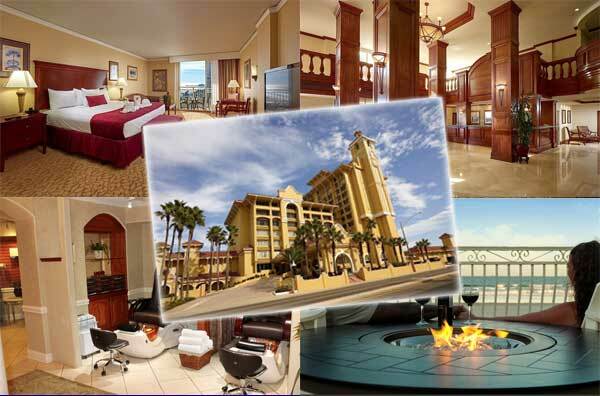 All rooms are plus a $22/night resort fee. Resort fee includes free valet or garage parking, free Wi-Fi, local and 800 phone calls, access to the in-house fitness and business centers, swimming pool, lawn games, pool toys, bicycles, pool/beach towels and chairs and daily newspaper Monday through Friday. Also includes a $12 beverage credit, 2 free bottles of water in the room and the first hour of water sports rental equipment fee during your stay. *Our Room Block is officially sold out; however, the hotel is adding to our block as cancellation occur from other groups also booked at the hotel. Pecan Pie Cookies have a thin flaky crust with a layer of the amazing, nutty, caramel-y pecan pie filling we love so much! These are the perfect cookies for any occasion. Combine butter, pecans, brown sugar, corn syrup, salt and eggs. While constantly stirring, cook on the stove-top over medium-low heat just until thickened. (You don’t want it dry, just slightly thickened, about the consistency of pudding). Remove from heat and set aside. Unroll dough and using a 3″ cookie cutter, cut out circles. Gently fold about 1/8-1/4″ up on the edges. OPTIONAL: Place chocolate chips in a small Ziploc bag. Microwave about 15 seconds or until mostly melted. Snip off a tiny corner of the baggie and drizzle chocolate over the cookies. Cool until set. Remove pie crusts and let sit 15 minutes per box instructions. Lay out parchment paper and unroll pie crusts. Using a 2.75″ circle cutter, cut circles out of one of the crusts (I made 14 and then at the end I made a couple more with leftovers). You can re-roll the scraps to make more circles. Our reader Julie suggested using the can from the pie filling as a cutter!! What an awesome idea! Cut strips (approx 1/4″ or as thick as you’d like) out of the second pie crust. (I used a pastry wheel to make them pretty). Open the can of pie filling and pour it onto a cutting board. Dice the apples into small chunks. Brush each cookie crust with egg white and sprinkle with sugar. Place on a cookie sheet lined with parchment paper and bake 12-16 minutes or until browned. RECIPE NOTES: My cutter was 2.75″ but if you have one close (2.5-3″) it should work just fine! The Chicken, Cranberry & Brie Tartlets combine all the best flavors of the season in one delicious little bite. Perfect for all your holiday parties, these tartlets are sure to become a new favorite! Cut each third into 12 equal squares to make 48 squares. (*You will not use entire second package) Grease 2 mini muffin tins; press each puff pastry square into a muffin cup. Return to oven for 5-7 minutes, until brie is nicely melted. Top with minced sage and chopped pecans. Christmas Expo is heading back to Dallas, TX! After looking at numerous cities, it was that great Texas hospitality that was the deciding factor. We’ve just returned from Dallas where contracts were signed and Christmas cookies were eaten (yes, they baked Christmas cookies for us!) and we know you’re going to LOVE the new location – it couldn’t be any better if Santa had picked it himself. The Mesquite Convention Center, just northeast of Dallas, is a perfect facility for us. Offering easy parking and easy access, the vendor hall and the classrooms are within steps of each other. No more running up and down stairs! In addition, the facility is attached via a short, enclosed walkway to the Hampton Inn & Suites, Mesquite. It boasts a large lobby and a large pool deck, perfect for meeting up with friends old and new, as well as that all-important networking. If you haven’t been able to snag a reservation in the Hampton, our backup hotel is the TownePlace Suites Dallas/Mesquite and it’s right across the street!